Lauryn’s senior session was a very meaningful session for me and it marks how far I’ve come in my journey as a photographer. 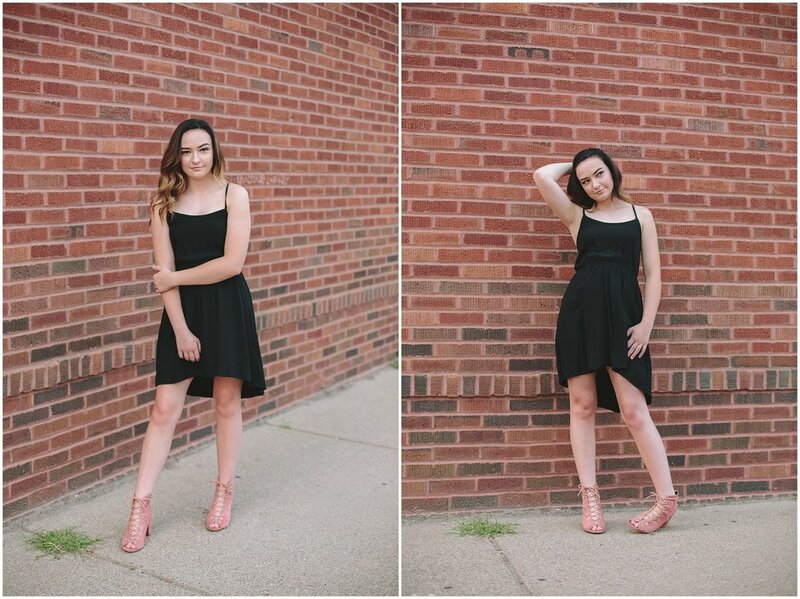 Five years ago, I got an email from a girl named Lexi who was responding to a model call I placed seeking a senior who would let me practice taking her portrait in return for free senior photos. Lexi is Lauryn’s oldest sibling. In 2014, Lexi’s parents emailed me and asked if I’d take their son Logan’s senior photos. Naturally I was excited and said, “Yes, I’d love to!” They also said they loved the photo I had taken of Lexi in the window of a dilapidated building and wondered if we could take a similar photo of Logan there. Again I agreed. 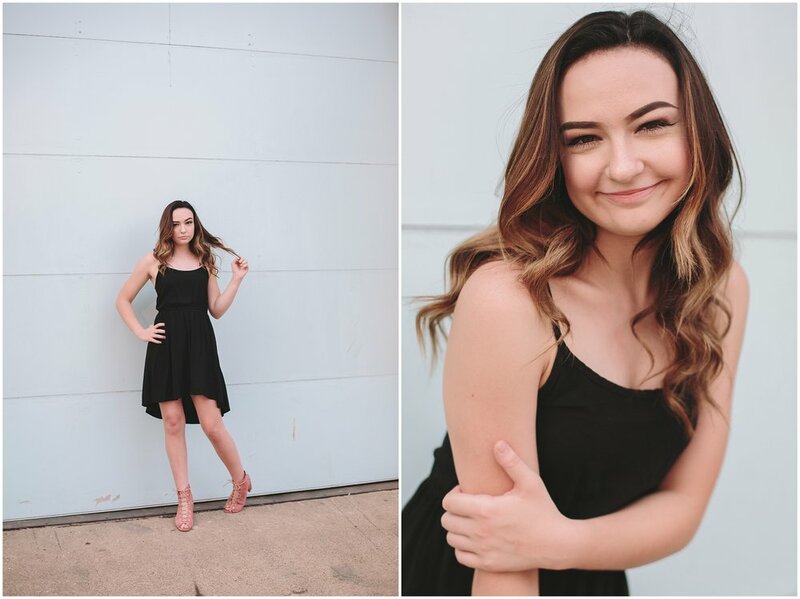 During Logan’s session, his parents mentioned offhandedly that they also had a younger daughter and how cool would it be to take her senior photos in the same area. 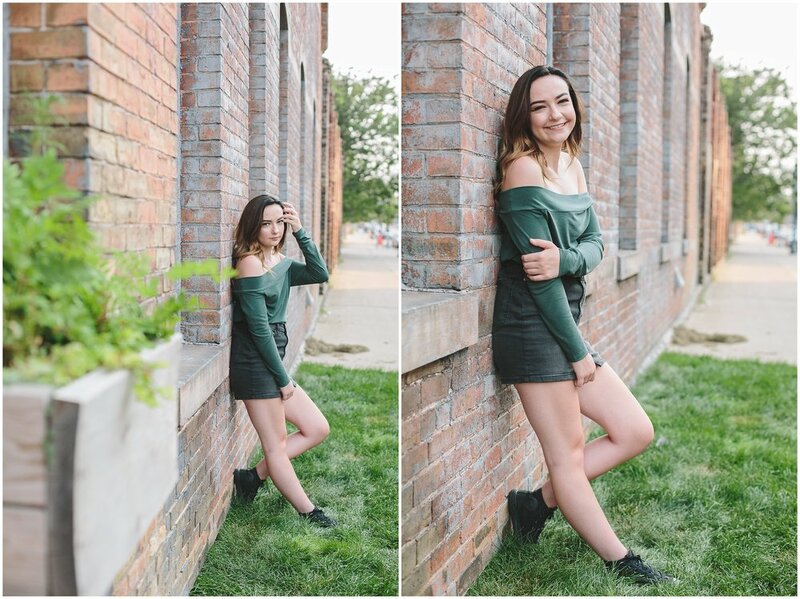 I nodded and hoped against hope that I’d have the opportunity to take their youngest child’s senior photos too…but I didn’t want to get my hopes up. I was still an emerging photographer and surely they’d find another photographer they wanted to go with three years down the road. Well, low and behold…I got to photograph Lauryn, too. If that wasn’t enough of a treat, Lexi tagged along for the session, which gave me a really surreal sense of time. I feel so blessed to have met and worked with Lexi, Logan, Lauryn, and their parents. 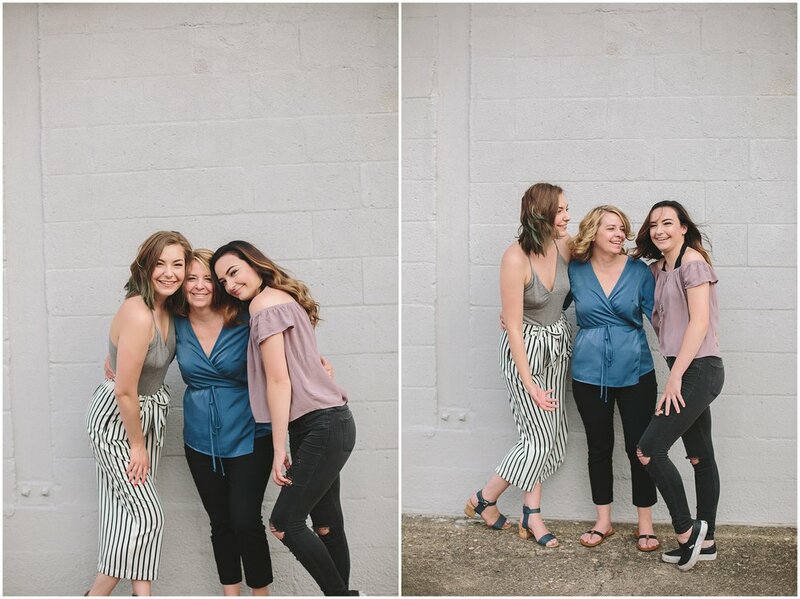 I’ve witnessed how each family member has grown over five years and I’ve been able to tangibly see the growth of my photography business and abilities, too. The Bergevin family has given me a gift that I truly will treasure forever!